Palestinian and Dutch model Gigi Hadid is one of the most sought-after names in the modeling and fashion industry. With campaigns for Fendi, Chanel and Victoria Secret this model is successful and highly in demand. Gigi is incredibly beautiful with her long flowing blonde hair, but the good genes and modeling ability run in her family. Her mother Yolanda Hadid is a former Dutch model, who even today at over 50 looks better than most women in their 30’s. There’s no wonder why Gigi looks the way she does and if you look at this picture the model clearly takes after her striking and athletic Mumma. Simon Cowell or “Mr. Nasty” as he is nicknamed in the U.K and the U.S. is the king of television. 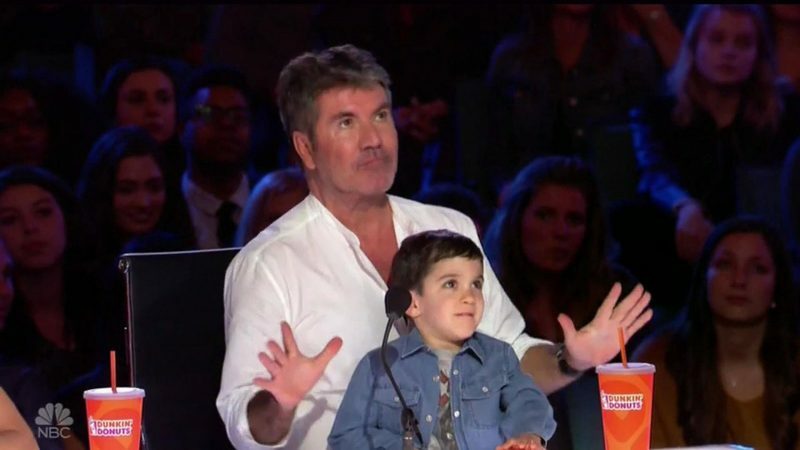 Cowell is the genius behind American Idol, Britain/America’s got talent and of course the X factor!. Simon is known for his ruthless British charm and is not afraid of the truth. However, the is no doubt that doubt that Mr. Mean because increasingly nicer after the birth of his first and only son, Eric. Eric was named after Simon’s father, which in itself is special, Simon never thought he could love someone as much as he loves Eric and we can see why. The now four-year-old is utterly adorable, not to mention so cute. He is a mini version of Simon and we cannot wait for more adorable pictures of the two of them.